India is becoming a global tourist destination. The nation has diverse climatic and geographical conditions, rich culture and heritage, and impressive history. All these features attract the attention of foreign tourists. Low air fare and ease of commutation have boosted the growth in Indian tourism. But they do not prefer to travel in public transports. They prefer private cars, which will be at their beck and call at all times. While some opt for an experienced driver, others prefer to drive the car by themselves. No matter what the choice is, it has catapulted the growth and demand for car rental services in India. 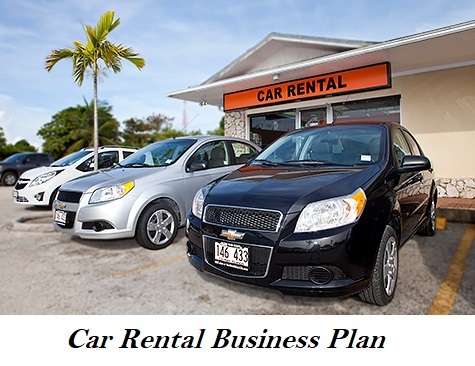 If you are looking for a lucrative business venture, then you need to consider opening a vehicle rental service. Whatever business you want to start, the base needs to be strong. No venture will be able to develop on a wobbly foundation. If you do not know much about vehicles or rental services, then it is best to get in touch with an experienced person. Gathering information is the first step towards establishing a firm base. People associated with car rental businesses, books, and articles on the internet, must be your primary source of knowledge. The car rental business owners will be able to guide towards the right path, and will also warn you about common mistakes and risks. So, positive outlook, forward thinking and research will help you to make a good start, and get an upper hand on the rival groups. Once you are all set to start the rental business, you will need cars. The vehicle rental service providers may possess some of the cars, but there is no agency that can claim to own hundreds of automobiles. The more cars you have, the better will be your profits. But it does not mean that you cannot start the venture without ten vehicles. So, the next point to consider is the ownership of the vehicle. In case you have enough bucks, you may purchase one or more vehicles. It puts pressure on your budget. But several cars mean more expenditure in maintenance. No one will want to rent an ill-maintained car. So, the other option is to lease vehicles. You are simply renting the cars from another agency and re-renting them to your clients. Leasing automobiles will leave a substantial amount in your wallet, which can be used for vehicle maintenance. Once you have the data at hand, it is time to think about the type of car rental service you wish to offer. In India, two basic types of vehicle rental options are available. The first is where the service provider rents the car to any individual or a business house for long term use. It mainly happens when the car is rented on lease. The second type of rental service is where the agency offers the vehicle to a person or a company for a shorter time. Most traditional taxies, OLA or UBER service providers fall in the second vehicle rental category. The service provider may arrange for a driver if the customer rents the car for a long time. Sometimes, the clients sign a special contract with the service providers, and drive the car by themselves. Whether your vehicles rental business is big or small, you need to fill out necessary legal documents. If you do not have the necessary certifications, then you will not get the permission to operate in any area. There are several kinds of company registrations, and you need to fill the forms according to the agency’s ownership. It can either be a sole proprietorship, or a partnership firm, depending on the number of owners or stake holders. In the absence of partners, both profits and losses will be significant. In case you have partners, then profits and losses will be equally divided among the shareholders, as per partnership contract. The number of OLA and UBER has increased massively in cities. Opening your rental agency in the heart of the town might not fetch you adequate number of customers. Lack of strategic location might do more harm than good for your business. In case you want to offer taxi or cab services, then city location is a must. Identifying the area of your operation will have a massive impact on your business. So, you need to do adequate market survey, acquire information about rival agencies, and accordingly form a unique selling proposition. Opening car rental agencies in tourist spots mean more clients and higher profit. One can never predict when the car will meet with an accident. No matter how serious the damage to the car is, you need to pay for the repair out of your own pocket. It can be rather taxing on all service providers. So, it is mandatory to take necessary precautions. The best way to safeguard yourself from unwanted expenses is to insure the car. That way, if anything happens, the insurance company will take care of the expenditure. If you open a car rental company that offers cars on long term basis to a single person, then you must ask the client to sign an “excess” clause. It is a must if you desire to stay out of trouble. The excess clause highlights that in case the car experiences any damage, during the time it was with the client, the customer will have to pay the extra money that is needed for fixing the vehicle. It prevents the rental service provider from incurring losses. Making use of technology will come in handy to keep a tab on daily operations. One must record details about the trips the car made, amount of petrol left in the car, number of passengers it serviced on a daily basis. It will prevent inefficiency, and give you a backup of all records. So, even if you misplace any particular paper, you can fall back on the backup data any time. Earlier, these were done manually. Now, you can make use of software and templates, which will make the task easier, and less time-consuming. According to survey reports, the demand for app based cab rental services has increased in India massively. If you think that vehicle rental service requires massive investment, then you are wrong. Banks offer credit to acquire vehicles at low interest rates. As there is a massive demand for rental vehicles, some measures will ensure that you find a steady inflow of customers, and make satisfactory profits. So, it is the right time to roll up your sleeves, and start planning today. Proper business license – Proper licenses will bar one from operating in a certain area. When it comes to basic registration of the vehicle rental organization, your need to make way to the local trade license office. State and national permits – The permit highlights the geographical area, within which, the cars will be allowed to operate. Each state offers a state permit and this allows the car rental company to drive the car in all parts of the state. It is issued by the state authority. A national permit is issued by the central government, and it allows the car to drive in all parts of the nation. The service provider needs to pay money to renew these permits. The fee for national permit is more than a state permit. ID and address proof documents – Whether it is to procure the cars or to register the rental company, the submission of identification and address proof is a must. Voter card, PAN card, passport and several other documents, issued by the central or state government, will come in handy for this. Bank account of the company – Keeping your taxes due is not a good thing. In case you fail to pay regular taxes, it will give rise to a number of legal issues. The best way to stay out of this is to maintain proper business accounts. Monetary transactions mainly take place thorough a bank account. Thus, it is mandatory to open and maintain bank account in the name of the car rental company. If you are careful about all these aspects, then you will not find it difficult to fit it off in the car rental business. When it comes to running a business, there is not set pattern. 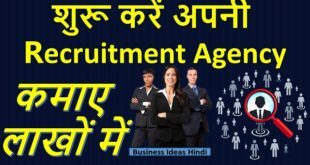 You must be ready to bring about changes in the business policy as and when need arises. Flexibility is a must in car rental business. Small steps in this field, along with motivation and hard work will assist you to carve a niche in the business.